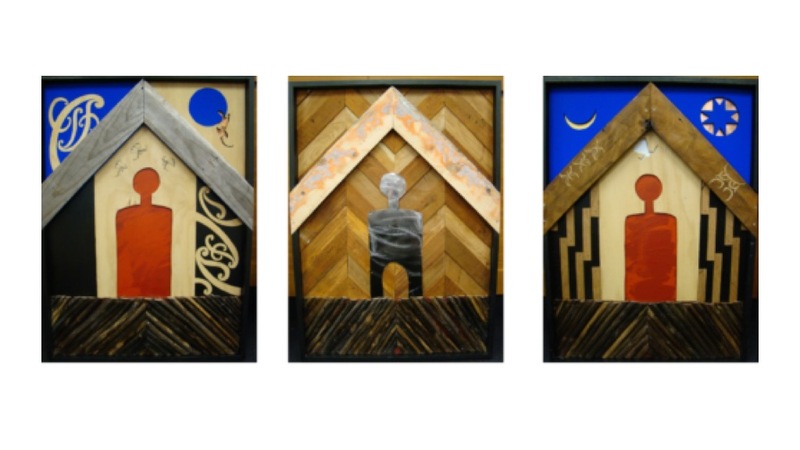 “Future Directions” is a conference to inform and inspire the future directions of the adult Alcohol and Other Drug Treatment Courts (Te Whare Whakapiki Wairua) and therapeutic jurisprudence in Aotearoa. Two pilot adult Alcohol and Other Drug Treatment Courts (AODT Courts) have been operating in Aotearoa – one in Auckland and one in Waitākere – since 2012. The AODT Courts are based on an extensively evaluated US model that has been enhanced to reflect our country and its people. 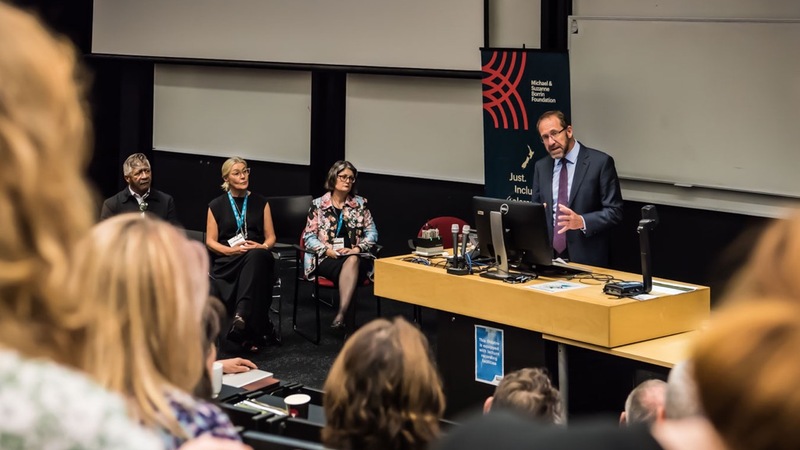 The pilot AODT Courts have shown encouraging early signs of success, with the Minister of Justice expressing his support for the expansion of the AODT Courts across Aotearoa. A decision on permanent investment in the AODT Courts is due in 2019, after the results of the final evaluation of the pilot are known. Now is a critical time to reflect on the shape, scope and operation of these courts. 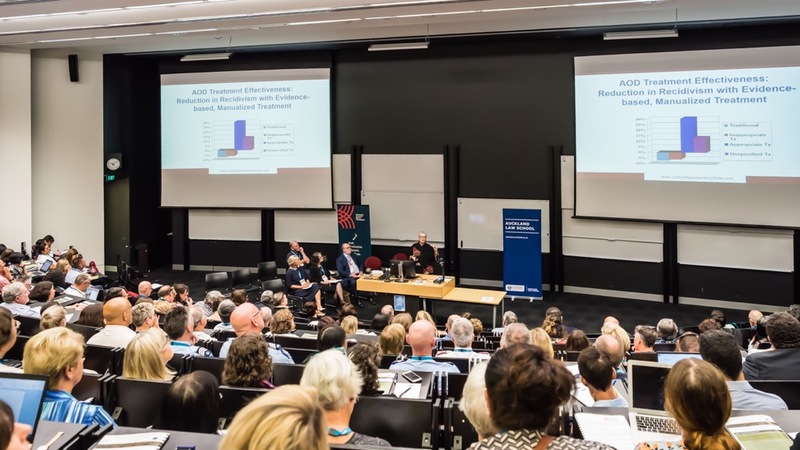 The two-day conference, on 24-25 January 2019 at the University of Auckland, brought together local and international experts and stakeholders for informed, robust conversations about what is needed for the successful expansion of these innovative solutions-oriented courts within Aotearoa. 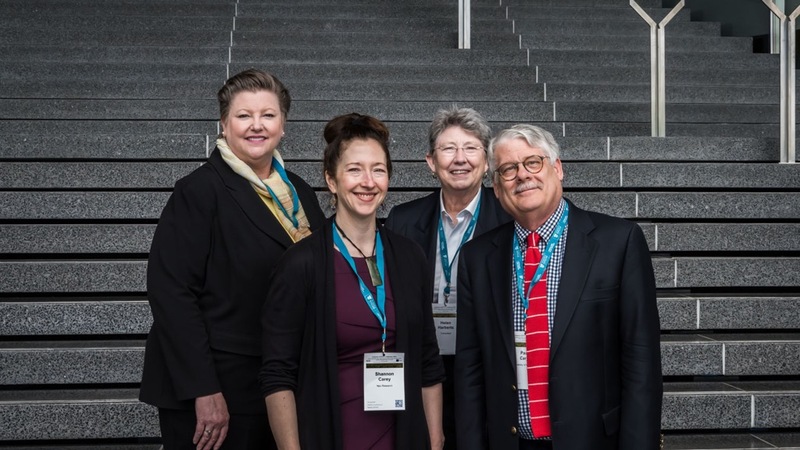 See more information on the conference webpage at http://aodtc-conference2019.org.nz/. Dr Katherine Doolin, Senior Lecturer in the Faculty of Law at the University of Auckland, is leading the project. Katherine teaches and researches in criminal law, criminal justice and youth justice and has particular expertise on the theory and practice of restorative justice in a criminal law context. 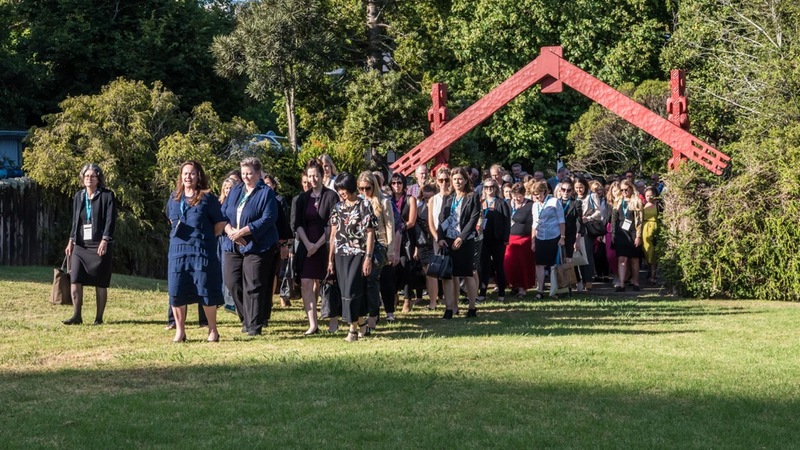 Katherine is supported by Dr Fleur Te Aho (Ngāti Mutunga), Lecturer in the Faculty of Law, who teaches and researches in criminal law and indigenous peoples’ rights, and District Court Judges Ema Aitken and Lisa Tremewan, who preside over the Auckland and Waitākere AODT Courts, respectively.